Come on down and hang out with us for a light-hearted get-together! 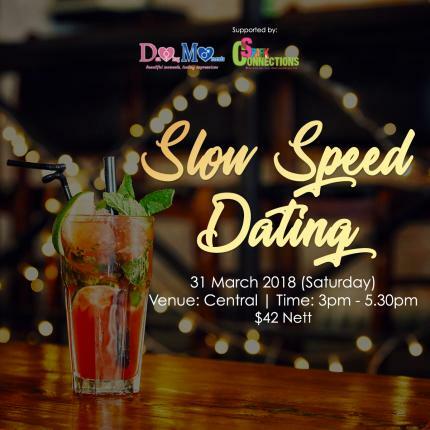 A cosy group speed-dating setting filled with fun activities, food, casual chatter and new friends await you at this event! This is a customised event for ladies aged above 30 and gentlemen aged above 35. Definitely not just your typical speed dating event - it’s going to be exceptionally GOOD!